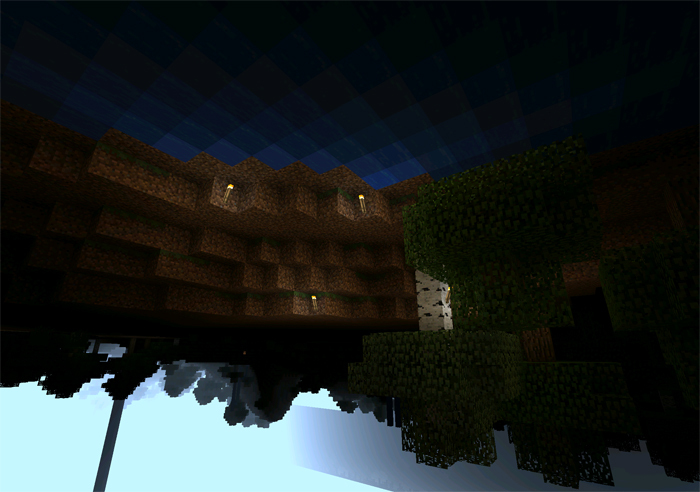 This is a massive custom terrain consisting of several different biomes. Most biomes already exist in-game but have been greatly improved to appear more realistic (and majestic). It’s really a mind-blowing experience to walk through these biomes. It’s just too bad that it’s going to lag on low-end devices. But if it does, try lowering the render distance in the game settings. Important: The file size for this file exceeds 50 MB. The Wooden Cobra is a grand roller coaster which has been built in a normal forest biome. It will take you through a mix of places. Everything from old mines to farms. If this was real life it would definitely be scary. 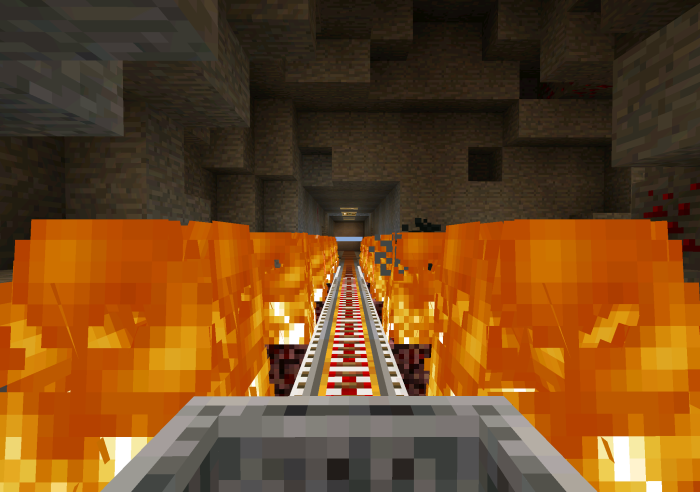 But as it’s Minecraft, it’s less scary, but still definitely worth a try if you like roller coasters. 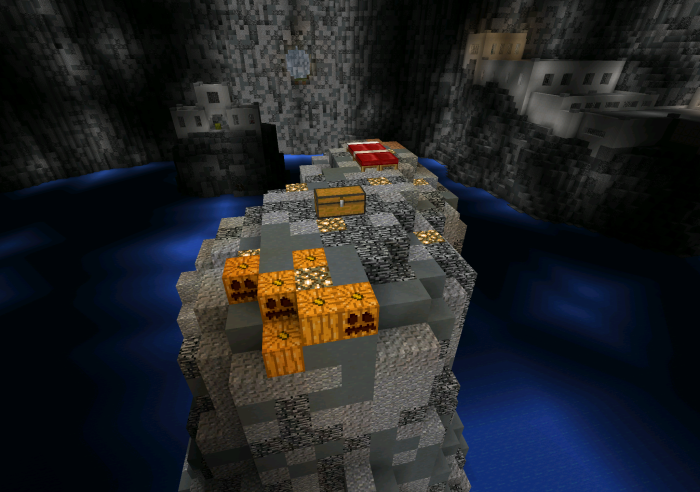 The Cave is a mini CTM map. Mini doesn’t necessary mean it’s a short map. We would guesstimate it’s worth at least one hour of gameplay assuming you aren’t in a big rush. The mission is to go out on an adventure to try and find two precious wools which you need to complete a monument. The two wools are of course not very easy to get. There are tons of mobs and other obstacles on the way which you must fight or get past in some way. The spawn is in a room where you can read all the rules and recommended settings for the map. But we highly advise you to read the rules further down too as it will make things easier for you. 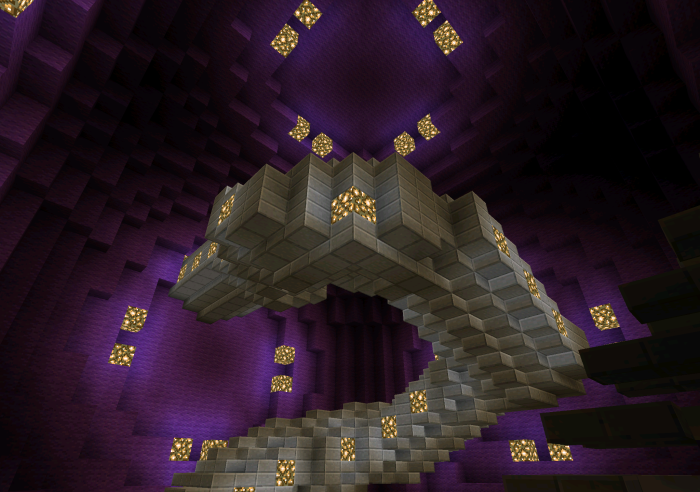 To begin the actual gameplay you will need to step forward to the enchantment table. Then look down and you should see a glass block. Break the glass to fall down and die. Then you will respawn at where the adventure starts. There is a shifting type of terrain to be explored. The beginning of the map looks quite innocent but as soon as you step into the first cave which is filled with cobweb and scary monster spawners things quickly change. The Spheres is a complete the monument map where you as a player have to go through four challenges to get the items you need to complete the monument. Every sphere got a unique type of challenge but we will let that remain a surprise for you what each challenge include. The objective is to complete each task presented in each sphere. Every completed sphere will award you with a wool. When you have got four wools you can Complete The Monument (CTM). To access the monument area there is a ladder in the main spawn area. In the ShortFun map you will be experiencing a roller coaster which primarily includes a hallucinating experience as the rooms the cart will pass are made out of colorful blocks and have been built in symmetrical patterns. It’s a short ride which only last for a few minutes but yet enjoyable if you are into what we previously mentioned. Pixel Art Express III is a map with tons of pixel art to explore. The magnitude of each pixel art is incredible. Some of the art are actual faces of realistic persons like Pope Francis but for the most part you will find characters from classic video games like Pikachu in Pokémon and Samus Aran in Metroid. HappyNeverAfter is the latest roller coaster creation by DaphneElaine who is a popular Pocket Edition YouTuber. In the map you are taken through several rooms where each is themed differently. For example, in one room you will travel through the mouth of an enormous troll to soon find yourself in a tunnel of white and black colors in a hallucinating pattern. The entire ride is quite short but it’s a fun one and makes one feel HappyNeverAfter and crave for more once it’s over. 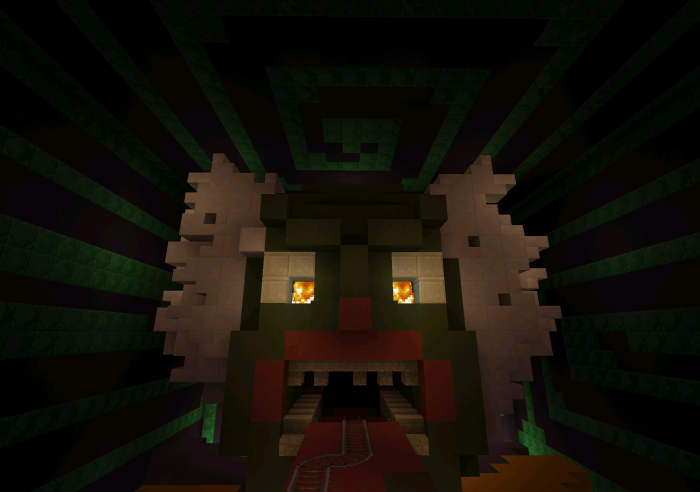 It’s a mixture of beautifully scary creations and tunnels with hallucinating patterns. Two things which in this case make a perfect couple. Claustrum is a mysterious freeroaming CTM (complete the monument) adventure. You’ll spawn in what seems as a cold and empty world where you have to survive the best way you can to hopefully find your way home. 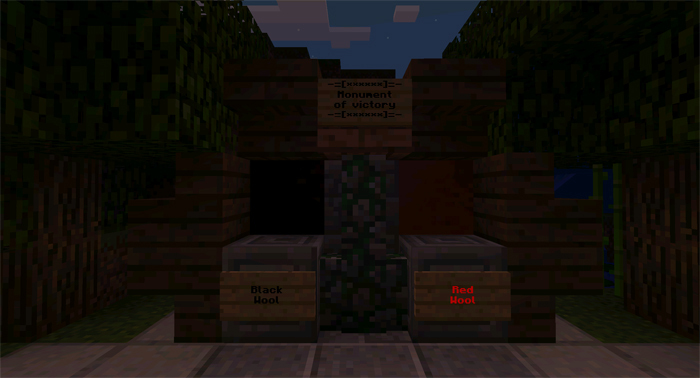 It’s a fun adventure map with a mysterious feel. Read the story to get a scary and exciting feel about the map before joining in. If you want to, it can be played with a friend. It’s recommended to be played by 1-4 players. A cold wind brushes against your rough face. You are slowly waking up from a bad dream and your body aches. Slowly you get up, jerking your head in several directions, trying to figure out where you are. Nothing about this place seems familiar. Everything feel so cold. One thing you do know for sure is that you want to return.. return home. Everywhere you look there are high, sturdy mountains reaching the clouds. The wind is howling and the waves are rough. Somewhere in the far you can see structures looking like prisons. You notice a note, but it’s confusing, and not giving much of an idea what’s going on.. The note sends shivers down your spine. You feel alone. Alone in a world you don’t recognize. You don’t want to be here and the only way is to get started. Started on an adventure which must lead you home! CTM maps aren’t as common as other maps so you might wonder what that is? Well, CTM is short for complete the monument. They are similar to adventure maps except for that they don’t follow any strict mission. Sometimes there might be signs and stuff hinting about something but you are never “forced” to go anywhere in CTM maps unless you want to yourself. The main thing in these kind of maps is exploring. As you can see in the images there are lots of different islands and sections of the map which look quite mysterious and interesting which hopefully should lead you to explore those places. Here is a roller coaster map which consists of more than 30 minutes of travel time. In the map you will travel in different areas. 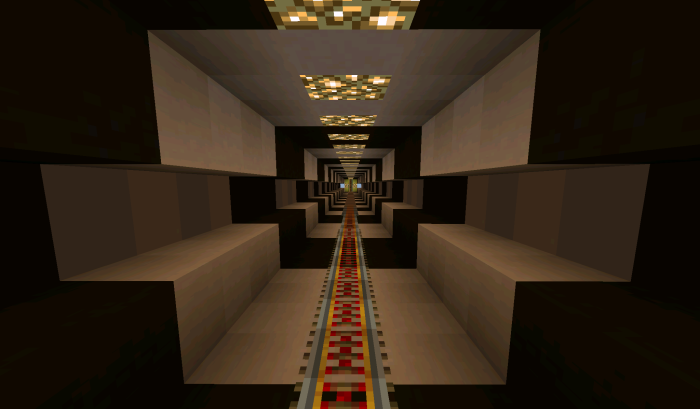 Everything from wormholes, rings of fire to tunnels with hallucinating color patterns. Much of the travel also takes place on ordinary rails above ground. The main focus in the building phase of the map appears to have been on creating an as long roller coaster as possible. And there he obviously succeeded as the map is in total 32 minutes and 14 seconds long. The creations surrounding the map is nothing too special. But it’s definitely a fun ride, at least for the first five minutes. We’ll admit we didn’t sit through the entire ride! 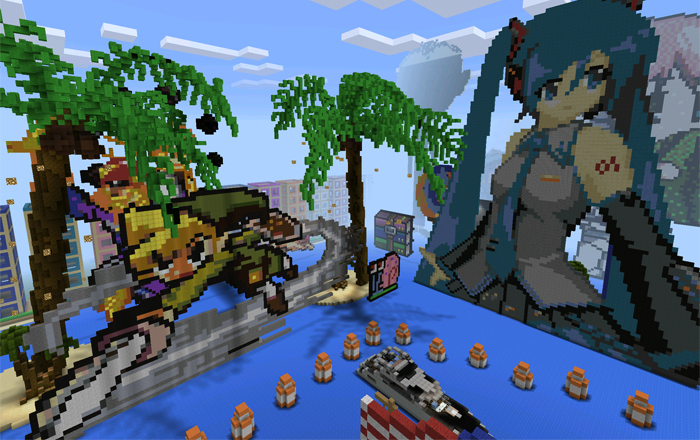 It should be noted that this was a creation built by NXUS more than one year ago. Since then he has definately polished is building skills as seen in his more recent builds.